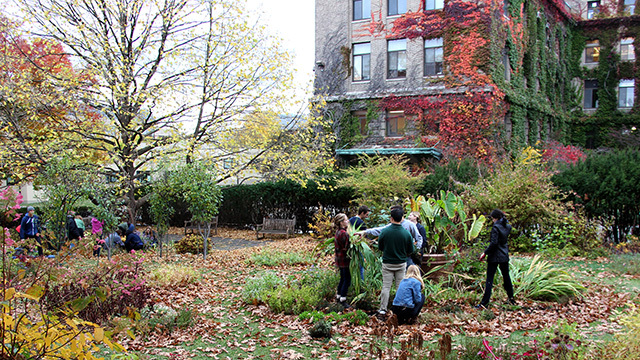 Students in HORT 1101 (Horticultural Science and Systems) give Minns Garden a fall cleanup. Frances Zhu ’15 and Hunter Adams ’15 enjoy a beautiful day on campus sitting on the sod sofa on the south side of Corson-Mudd Hall. The sofa was created by Art of Horticulture students in September. U.S. News and World Report released its rankings of the best university programs on the planet, ranking Cornell #1 in Plant and Animal Science and #3 in Agricultural Sciences. 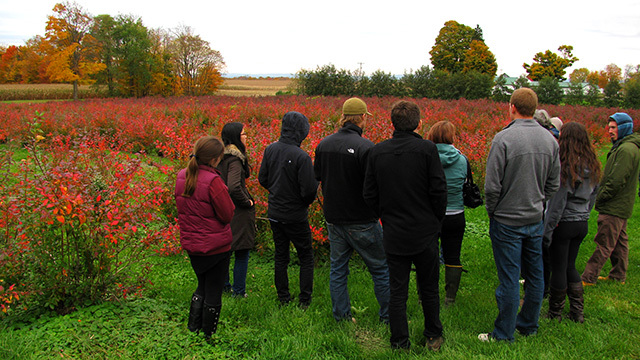 Last week, students in the course, “Berry Crops: Culture and Management” (HORT 4420), taught by Marvin Pritts, visited Grisamore Farms in Locke, N.Y. — one of many field trips they’ve taken this semester. Above, they view a field of blueberry bushes turning brilliant red. 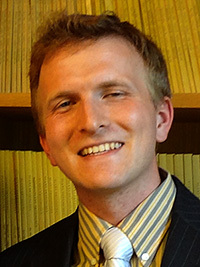 Seminar video: Super Storm Sandy: A Tipping Point for Environmental Education? If you missed Monday’s seminar, Super Storm Sandy: A Tipping Point for Environmental Education? with Marianne Krasny, it’s available online. On Monday, six students in the Art of Horticulture (HORT 2010) modeled outfits they fashioned from various plant materials for other students in the course, and answered their classmates’ questions about their materials and process. 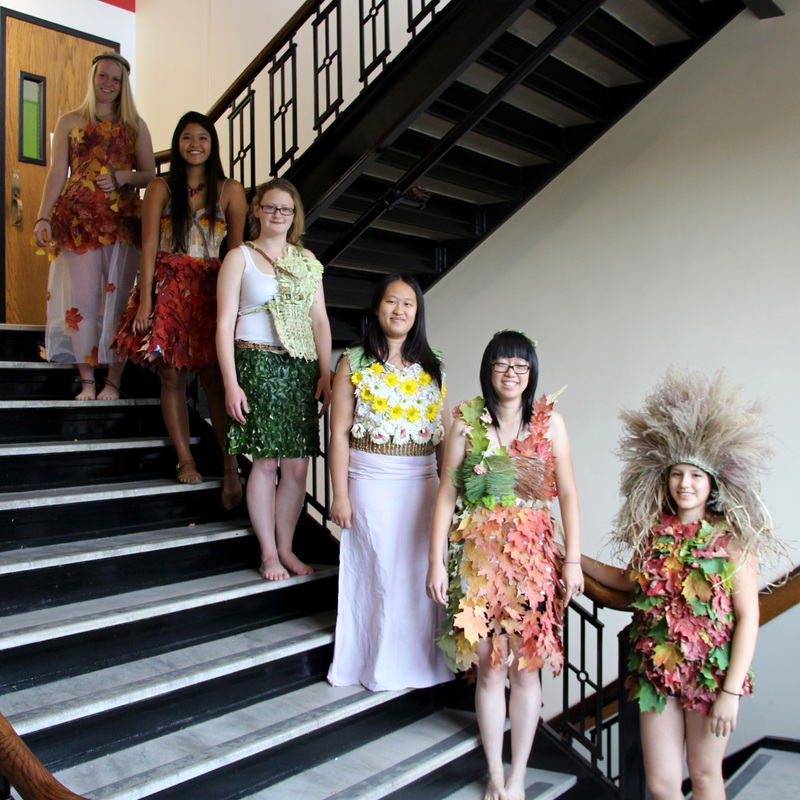 Creations ranged from a lion’s mane headdress to an ensemble portraying the Greek myth of Demeter and Persephone. While the abundant fall foliage was a popular foundation material, other plant materials used by the students included grass seedheads, willow branches, hot peppers, pine needles, mosses, birch bark, citrus skins, acorn caps, various flowers and leaves and more. View more images in the gallery pages at the Art of Horticulture website. Breaking New Ground for Plant and Soil Sciences – Formation of the new School of Integrative Plant Science (page 3). A Nod to Namesakes – How Hedrick Hall (and other buildings) got their names (page 4). Grape Expectations – Aromella and Corot noir (both from Bruce Reisch‘s breeding program) are key ingredients in new beverages (page 8). Rooting for the Apple Industry – U.S. apple industry is on the cusp of a rootstock revolution, thanks in part to Gennaro Fazio‘s breeding program (page 8). A Cause in Common – Michael Mazourek breeds ‘gateway vegetables’ to help fight diabetes. Milestones and Marvels – Minns Garden gate is certainly one of the latter (pages 18-19). Many milestones on subsequent pages of horticultural interest, including development of CU-Structural Soil by Nina Bassuk and Nina Trowbridge and planting of first fruit trees at Cornell Orchards. A Practical Science: Agricultural Biotechnology in Focus – Details John Sanford‘s pioneering contributions (page 24). An Award Winning Vintner – One of the first graduates of Cornell’s Viticulture and Enology program, Nova Cadamatre ‘06 named one of ‘40 under 40: America’s Tastemakers’ by Wine Enthusiast magazine (page 29). Facts in Five – Features Justine Vanden Heuvel‘s ‘Redolent Rieslings’, Susan Brown‘s ‘Cider Sources’ and Bill Miller‘s ‘Boozy Bulbs’. If you missed Tuesday’s School of Integrative Plant Science (SIPS) seminar, When genomes meet: RNA silencing and the phenotypes of hybrid plants with David Baulcombe, Regius Professor of Botany, Department of Plant Sciences, University of Cambridge, it’s available online. View more SIPS seminars. The new Cornell Sports Field Management website provides sports turf managers with the latest best management practices and resources they need to maintain safe and functional school and community sports fields. The site includes information about soils, grass varieties, routine care (mowing, fertilizing, watering, etc. ), integrated pest management and more. Interactive schedules for different levels of management and seasons that fields are in use make it easier for managers to time their field operations. Recognizing that sports turf managers don’t work in isolation, the site also provides information for coaches, athletic directors, administrators, community members and others to help them understand how their decisions can affect turf quality and field safety. 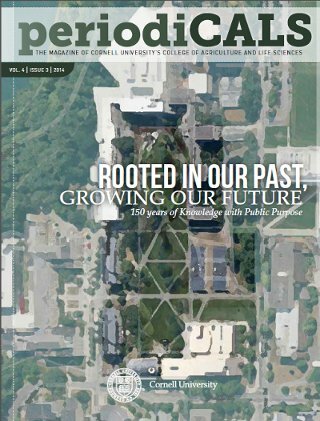 The site was developed by the Cornell Turfgrass team with input from Cornell Cooperative Extension colleagues and sports turf grounds managers from across New York State. 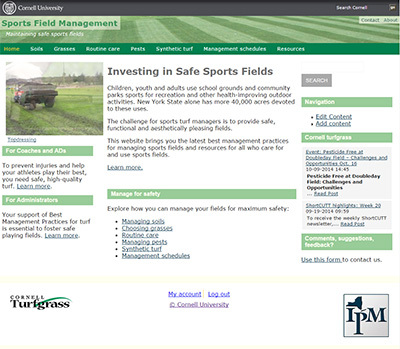 Funding was provided by the Community IPM Initiative of the New York State Integrated Pest Management Program to support New York State schools in implementing the Child Safe Fields Playing Act.